Mayors Richard M. Daley and Rahm Emanuel have touted and promoted Chicago as a 'world-class city.' The skyscrapers kissing the clouds, the billion-dollar Millennium Park, Michelin-rated restaurants, pristine lake views, fabulous shopping, vibrant theater scene, downtown flower beds, and stellar architecture tell one story. Yet, swept under the rug is the stench of segregation that compromises Chicago. The Manhattan Institute dubs Chicago as one of the most segregated big cities in the country. Though other cities-including Cleveland, Los Angeles, and Baltimore-can fight over that mantle, it's clear that segregation defines Chicago. And unlike many other major U.S. cities, no one race dominates. Chicago is divided equally into black, white, and Latino, each group clustered in their various turfs. 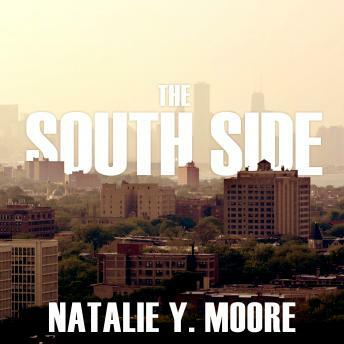 In this intelligent and highly important narrative, Chicago-native Natalie Moore shines a light on contemporary segregation on the South Side of Chicago through reported essays, showing the life of these communities through the stories of people who live in them. The South Side shows the important impact of Chicago's historic segregation and the ongoing policies that keep it that way.